How To Translate Web Pages From Safari in iOS? Home > iOS > How To Translate Web Pages From Safari in iOS? Safari is a popular browser of iOS which suffers one serious drawback, i.e an in-built translator. Chrome browser, however, provides you the opportunity to translate text from web pages on the go, for both iOS and desktop. But unfortunately, it’s not so for Safari browser. 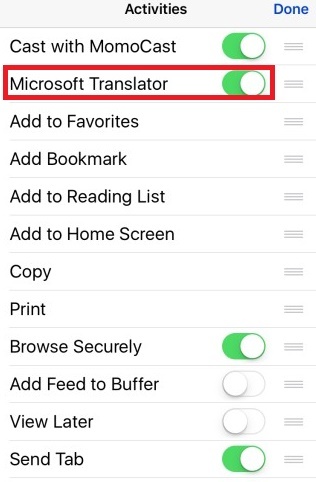 Hecne, if you want to use translator in Safari, you have to install an application called Microsoft Translator. Once you install the app, you have to enable it following some simple steps. Then you can use the translator feature from Safari as well. One mandatory requirement is that your phone should be running iOS 8 or above. 1. Install the Microsoft Translator app. 2. Open a new tab in Safari. 3. Next, tap on the Share button and at the bottom row, go to More. 4. The Activities screen will pop up. You have to enable Microsoft Translator. 5. Next, go to a web page that you want to translate and tap on the Share button again. 6. Microsoft Translator will pop up and you have to select it to get the web page tranlated to the desired language. 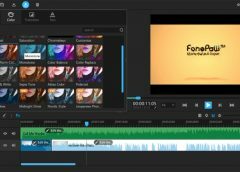 appear as an option on the second row of actions. Tap it to translate the text on the page. The translation process will take little time and you can track the progress of the process from a yellow bar located at the top of the screen.